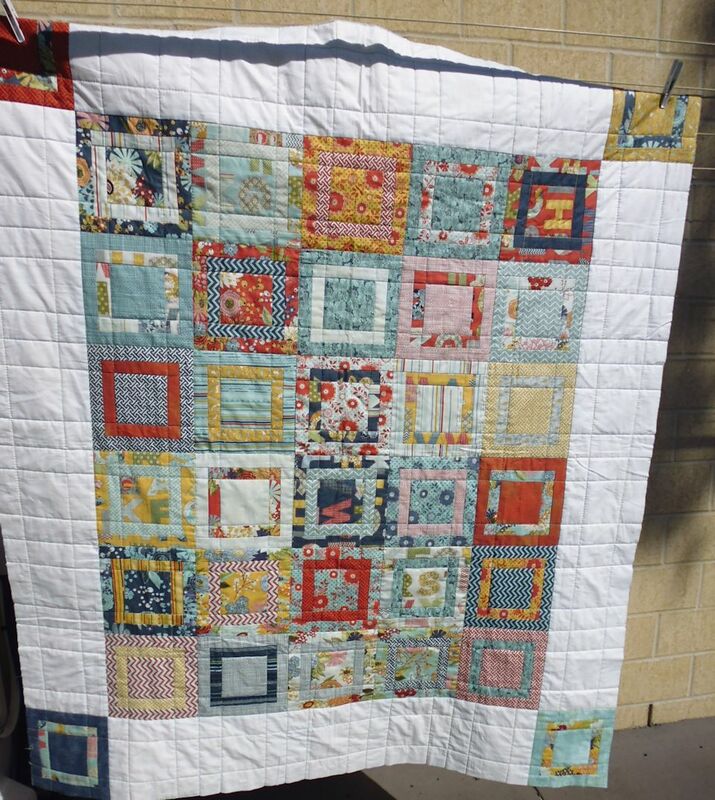 I really liked how the disparate fabrics in this quilt went so well together in the ‘sort of’ log cabin design. But how to quilt it? After stitching in the ditch around the main blocks, I decided to ditch stitch straight lines (using my indispensable Line Tamer ruler!) 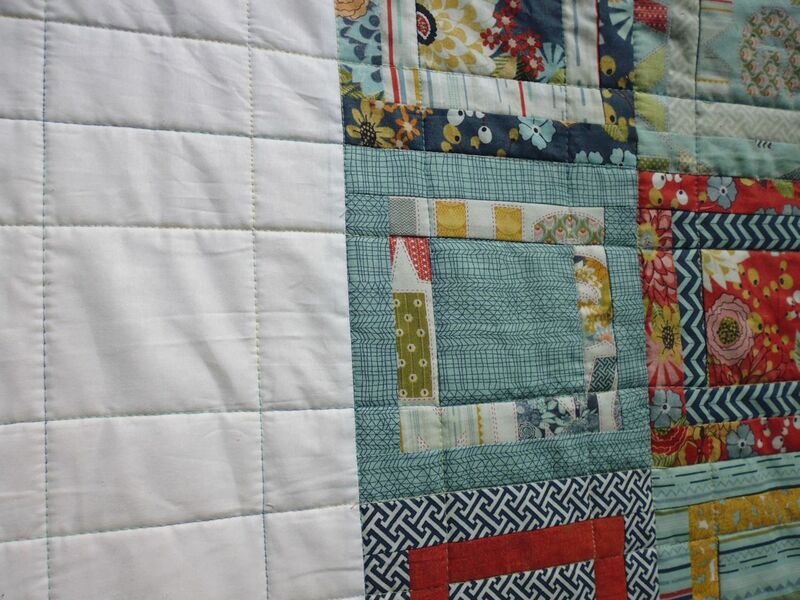 following the second log cabin seams surrounding the centre square, using a variegated yellow and teal thread. I extended these lines out into the border too. I very much liked the final, almost art deco, effect.